Except for the pot bunker long and slightly left it’s all in view. 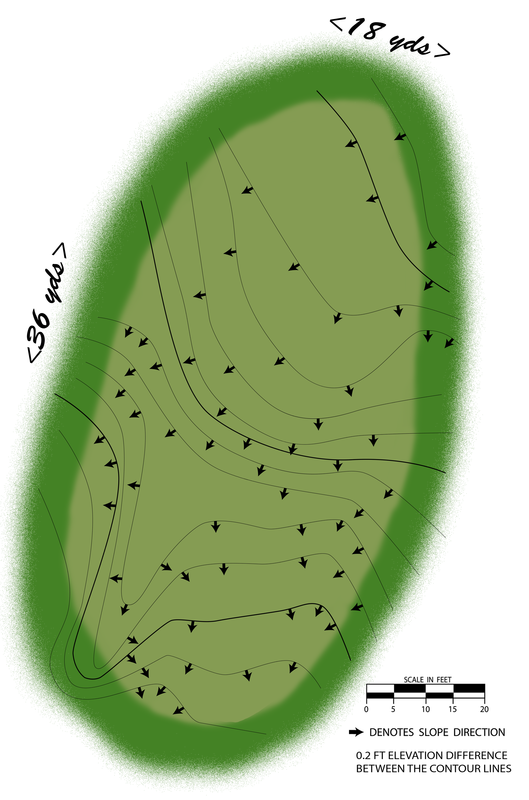 A tee shot to the left side of the green will tend to funnel farther left and off the green left requires a deft chip shot. The green slopes gently back to front, but no tricky putts here.